Reese Witherspoon's Vogue spread is out! 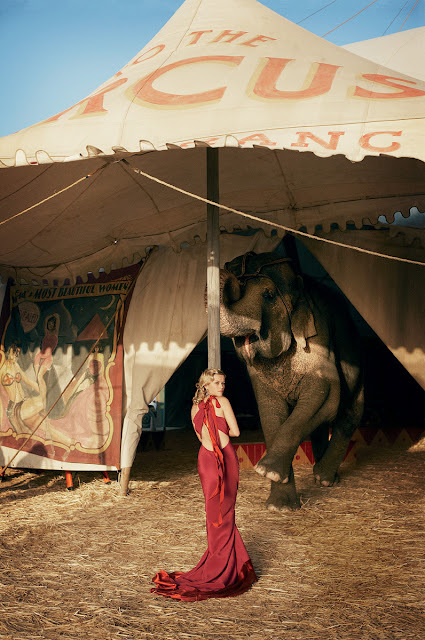 Shot at the Circus with an elephant, the Vogue spread is inspired by her role in new film 'Water for Elephants' where she stars alongside Robert Pattinson. 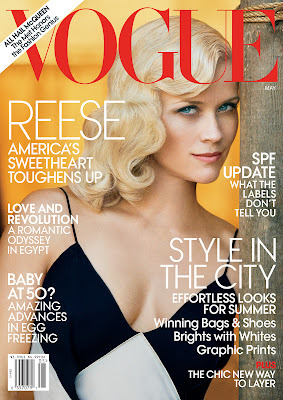 Shot by Peter Lindbergh, Witherspoon looks stunning in Dior, Dolce & Gabbana and Narciso Rodriguez. My favourite image would be the one where she's in the Sophie Theallet red silk dress- beautiful shapes.